This list of Tobacco Product Manufacturers has been developed and published as required to comply with Title 29, Chapter 60D. 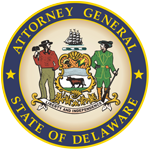 Enforcement Provisions of Delaware Tobacco Settlement Act of 1999. This Directory lists only those Tobacco Product Manufacturer Brands and Brand Families that have been determined to be in compliance with the laws of this State and have provided current and accurate certifications conforming to the requirements set forth by the MSA and Delaware Code. Tobacco Product Manufacturers that want to be added to this Directory of Compliant Manufacturers or have questions about certification or forms, please contact renee.harris@delaware.gov or call the State of Delaware, Office of the Attorney General, Department of Justice, Tobacco Litigation & Enforcement at (302) 577-8400. Pursuant to 29 Del. C. ch.60D, this Directory will not consist of the name or Brand Families of any Non-Participating Manufacturer (NPM) that has failed to provide the required certification or whose certification the Attorney General determines is not in compliance with the laws of this State unless the Attorney General has determined that such violation has been cured to the satisfaction of the Attorney General. Be advised that as of July 7, 2003, Section 5346 of Title 30 of Delaware Code now expressly prohibits the affixing of a tax stamp to any tobacco product that violates not only Federal law, but also any law of the State of Delaware. As you are aware, 29 Del. C. § 6082 requires a “tobacco product manufacturer selling cigarettes to consumers within the State (whether directly or through a distributor, retailer, or similar intermediary or intermediaries)” to either become a signatory to the Master Settlement Agreement, or to escrow a certain sum per tobacco product unit sold in this State during the prior year. Tobacco manufacturers that have failed to comply with Section 6082 have violated a law of this State, and are subject to enforcement action by the Attorney General on behalf of the State. Consequently, any manufacturer, distributor, retailer, or similar intermediary who stamps for sale the product of a tobacco manufacturer that has not complied with 29 Del. C. ch.60D is in violation of 30 Del. C. § 5346. Violators of Section 5346 are subject to penalties including substantial fines, seizure of product, and license revocation. The sale of tobacco products manufactured by any entity not included in this Directory or a signatory to the Master Settlement Agreement, is prohibited by the law of this State. Tobacco Product Manufacturers Packaging Samples are to be submitted to this office on CDs. Pursuant to the State of Delaware, Department of Finance, Division of Revenue, Technical Information Memorandum 2002-1, the REVISED Schedule NPM/CIG/RYO monthly report form must be used to report all purchases of cigarettes and roll your own tobacco products acquired for sale that are manufactured by Non-Participating Tobacco Manufacturers. UPDATING THE DIRECTORY Affixing Agents and Tobacco Product Manufacturers (TPM) should check this Directory regularly for updates. 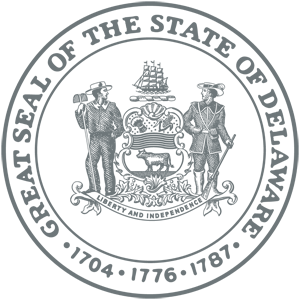 Notices of additions or removals to this Directory will be transmitted to Affixing Agents and TPMs via this webpage. If you wish to receive notices via e-mail, please contact renee.harris@delaware.gov or call (302) 577-8400. Tobacco Product Manufacturers or Companies listed will be removed from the Directory on the date indicated. Brands and brand families are deemed contraband on the effective date of removal from this directory pursuant to State law. Licensees that sell brands manufactured by these TPMs/Companies are in violation of both federal and state law and should cease in order to avoid possible legal action brought by this office.